The firm that owns Zara, Inditex, has reported a massive 22% profit increase, which it puts largely down to rapid growth in sales in Eastern Europe and its online offering in China. It’s becoming a familiar story now. Western Europe is in the doldrums, and so is America, but untapped markets such as eastern Europe and China are yielding encouraging results for manufacturers and retailers. 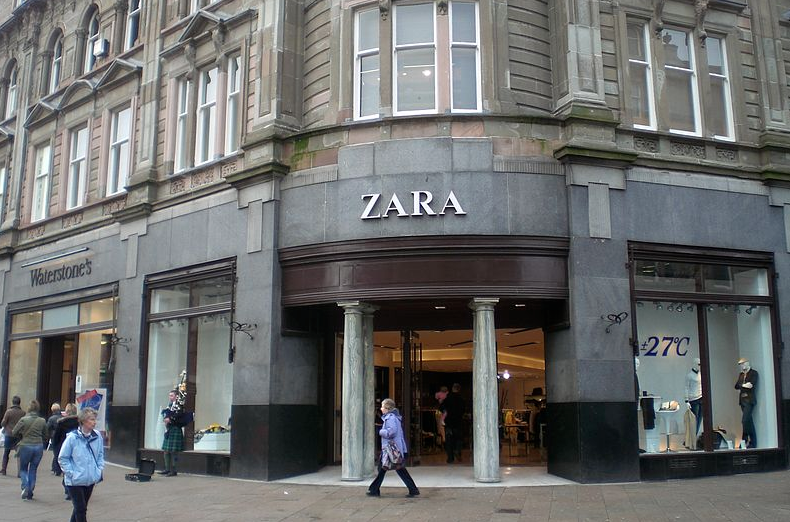 The latest is that Inditex’s profits rose 22% to £2bn in 2012. Analysts were expected slightly high results, meaning shares were down 3% this morning, but this is not necessarily a reflection of a slowdown. The company announced plans to open 440 new outlets in 2013, and the expansion of its online offering in China should continue to bolster the balance sheet. The firm is already the world’s largest clothing retailer, but it’s getting bigger. In December last year it opened it’s 6,000th store – in London – and it also got footholds in 64 new markets around the world in the final three months of 2012 alone. It is a rare international success story for Spain, which does not have the largest roster of companies competing on the world stage. Still there is a lot of room for the growth to continue on its aggressive path: the firm has about 14% of the market in its home country (Spain), but less than 1% of the market in huge economies such as China and the US. Meanwhile its competitors languish in stilted western economies. British fashion retailer French Connection revealed today pre-tax losses of £7.2m in 2012. Its core markets are the UK and Europe – no wonder it’s having a hard time.